Dayyani, N. (2014). Broiler Production Explation–Steps to Start. International Journal of Advanced Biological and Biomedical Research, 2(5), 1326-1333. Nematollah Dayyani. "Broiler Production Explation–Steps to Start". 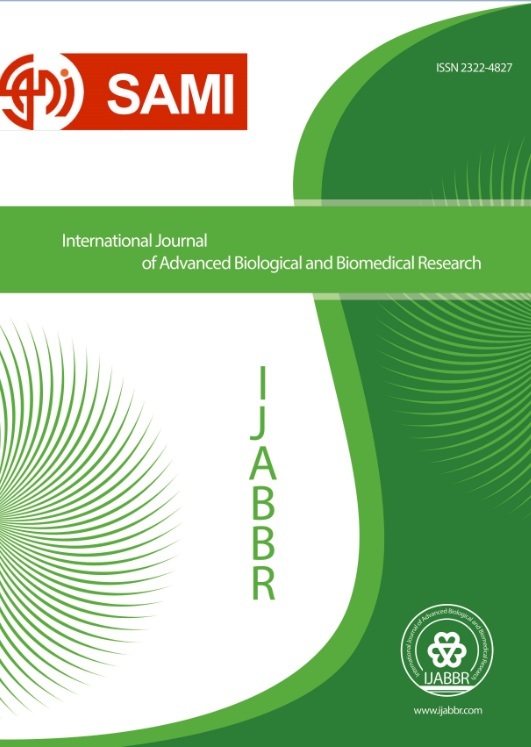 International Journal of Advanced Biological and Biomedical Research, 2, 5, 2014, 1326-1333. Dayyani, N. (2014). 'Broiler Production Explation–Steps to Start', International Journal of Advanced Biological and Biomedical Research, 2(5), pp. 1326-1333. Dayyani, N. Broiler Production Explation–Steps to Start. International Journal of Advanced Biological and Biomedical Research, 2014; 2(5): 1326-1333. There is nothing quite so helpless in this world as a baby broiler chick which has been snatched from the warmth of its surrogated mother, carted umpteen kilometers in a box dumped unceremoniously in a broiler shed and then told to get on with the job of making the boss a wealthy man. Yet within the space of 14 days, that same chick, under optimum conditions, will have increased its day-old body mass eightfold by putting on weight at an average rate of one gram per hour, costing its owner no more than a meager 1,3 grams of feed per hour! Or, putting it another way, at today’s market prices, that little chap is growing at the rate of one cent every three hours on a feed cost of no more than 0,2 of a cent.